Los Angeles is under fire! 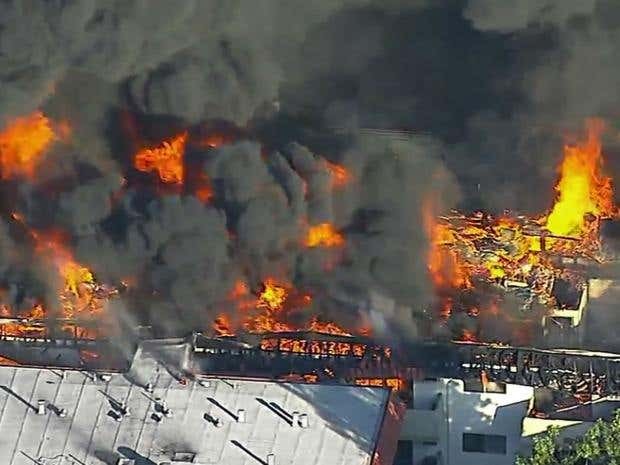 One person was injured after a huge blaze broke out at an apartment complex near Los Angeles, multiple sources have confirmed. According to reports obtained, nearly 100 firefighters responded to the three-alarm blaze in Pico Rivera. Officials said that they had successfully evacuated residents. 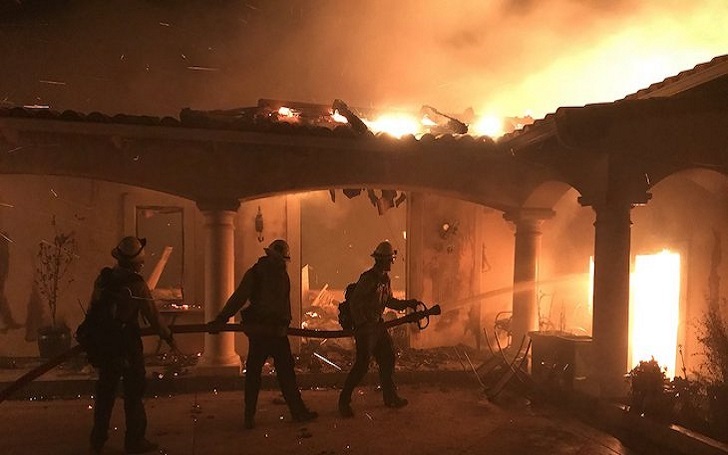 According to Los Angeles County Fire Department, firefighters were forced to exit the building and go into “defensive mode” in order to battle the flames. As per the report, responders were directing streams of water from multiple directions, including from an adjacent roof. Officials said that a shared attic helped the flames to spread quickly across the complex. The Photos that was shot on the spot clearly showed thick black clouds of smoke consuming the building’s roof. The Los Angeles County Sheriff has been making all the efforts to help people devastated by the fire, and they also have been leading them to shelter. Besides, The Cross also has been making all the efforts to help the affected. The wildfire has recently been common in Southern California, including around Los Angeles County. The major reason for all these is dry and warm weather.